As you can see, my nails were very short when I did these. I had an ugly break on my index nail, so they are even shorter now. 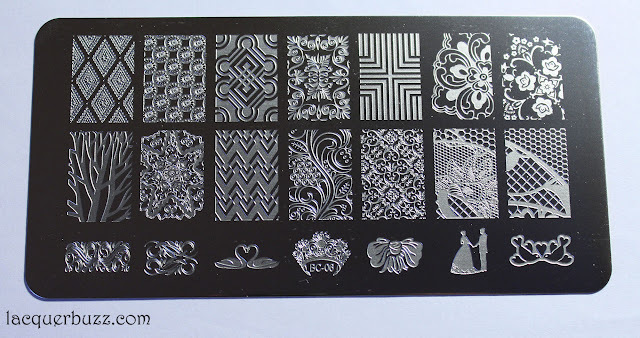 That is really good for this stamping plate though because the images on it aren't that huge. The stamping plate I'm showing you today is BC-06 and looks like this. The size of the plate is 12x6 cm, just like the Born Pretty and MoYou plates, only it doesn't have the plastic backing so you have to be careful not to bend it or cut yourself on the edges. It has 14 full nail images and 7 small ones. The size of the full nail images is 1.9x1.3 cm, which is smaller than Born Pretty ones for example. The length isn't bad but the width is too small in my opinion. My nails aren't that wide so they fit, except for my thumb, where the images barely cover the entire nail. There's a great variety of images on this plate, from flowers to geometric patterns and even some cool chevrons. 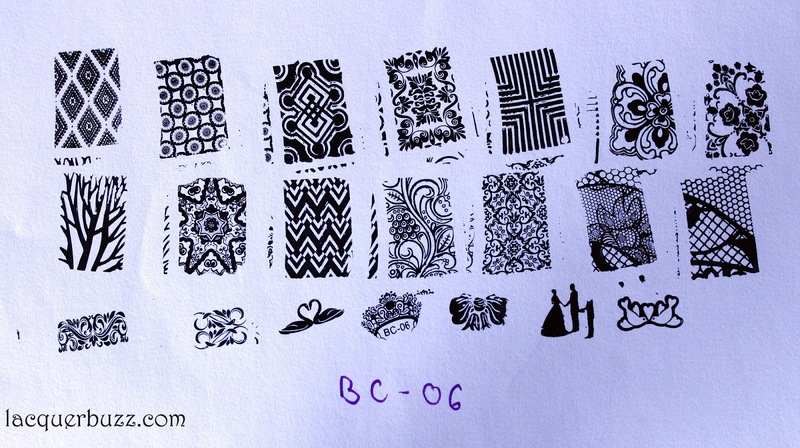 I swatched the images on a piece of paper using Konad Black and they all stamped perfectly. I like most of the images on this plate but I absolutely fell in love with the star on the second row. It's so intricate and elegant, just beautiful! 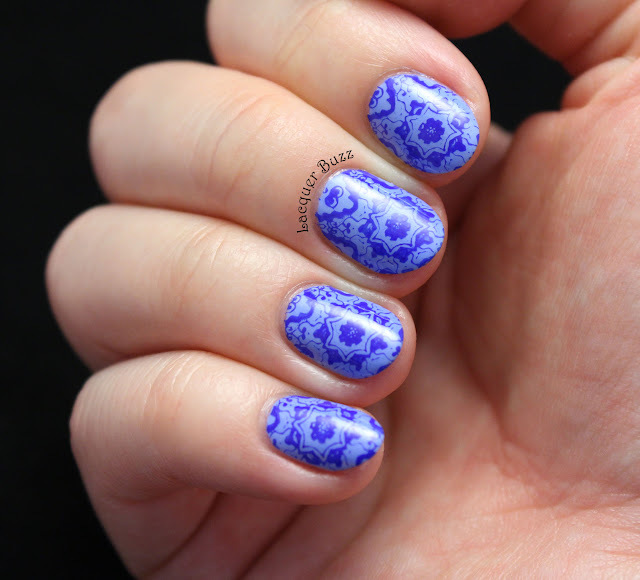 So I stamped it over p2 Color Victim Up in the Air using a clear stamper and Mundo de Unas Neon Blue. The placement isn't perfect on every nail but I'm pretty happy with the result. If you are interested in this plate you can find it here. 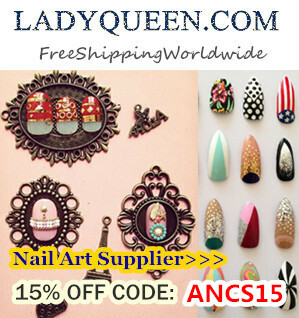 You can also use code ANCS15 to get 15% off from your order at Lady Queen. I really hope you enjoyed these nails. 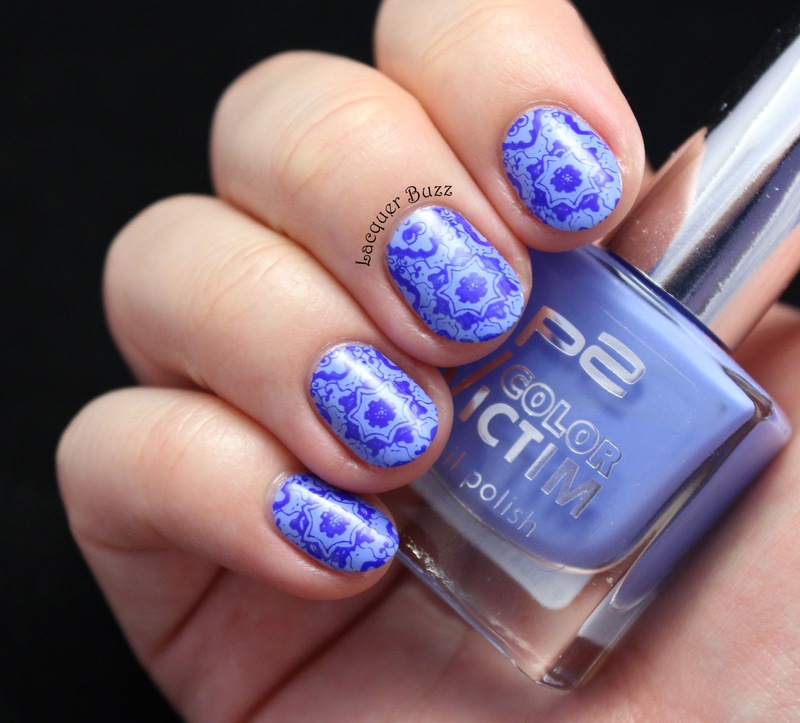 I can't wait to do some more manicures using this awesome plate. Don't forget that you can check out the first Monday Blues of June by clicking the links below!